Looking for an affordable alternative to a divorce lawyer? 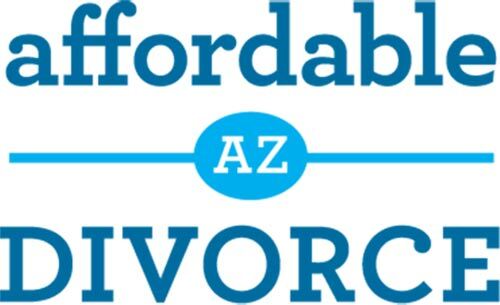 Affordable Arizona Divorce can help you achieve your divorce with no children goals. We have cost-and-time effective legal solutions. No court, unless alimony is requested. Cons: Takes a little longer than consent. Spouse Can Be Served, or can just sign. If no alimony, nobody goes to court. No Court Hearings, At All. Includes all division of property, assets, debt, alimony if needed. Not Sure Which Type of Arizona Divorce Without Children Services You Need? Do I need an attorney for an Arizona divorce without children? Are you and your spouse considering divorce, but not sure if you need an attorney? Whether or not you need an attorney for your Arizona divorce will depend on a variety of factors. An Arizona divorce with no minor children addresses several major areas. First, it dissolves the marriage. Next, all divorces include a division of any property, assets and debts obtained during the marriage (community property), and an affirmation of property, assets and debts acquired prior to marriage to the party that owned them (sole & separate property). Finally, if either party qualifies, spousal maintenance (alimony) will be determined. In order to decide if you need an attorney, you must first determine if you and your spouse will be able to reach fair and equitable agreements regarding the division of property, assets and debts and an award of spousal maintenance without the assistance of attorneys. If you haven’t been married very long and thus haven’t had too much time to acquire property, assets and debts, this may be a relatively easy task. In addition, if you have a marriage of short duration, spousal maintenance is probably not necessary. So in that circumstance, you likely do not need to pay an attorney thousands of dollars for your Arizona divorce. Instead, consider hiring a certified legal document preparer who can guide you through the entire process and prepare all of the necessary Court paperwork; helping you achieve the affordable Arizona divorce you deserve for a fraction of the cost. A short marriage isn’t the only circumstance that would allow you to avoid the cost of hiring an expensive divorce lawyer. Oftentimes, when children are not involved spouses are able to look at the divorce more objectively and divide things amicably. Maybe this is a second marriage and you learned valuable lessons from your first divorce, keeping your finances separate and each of you agree to walk away with what is yours. Or perhaps you have been married a very long time, but you have been separated for a substantial period of time, during which you divided all joint property, assets and debts and each of you is able to support yourselves without financial assistance from the other. 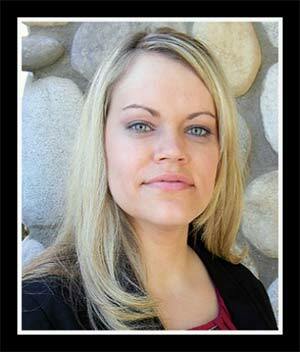 No couple divorcing in Arizona is required to hire attorney, nor is it necessary that they go before a Judge. Oftentimes, spouses simply reach agreements amongst themselves. From there they can complete all the necessary paperwork themselves and as long as they comply with all the Court’s requirements, the Court will finalize the divorce. For those that don’t want to invest their time in learning the Court’s rules and completing all the paperwork, an Arizona certified legal document preparer can assist you in achieving the affordable Arizona divorce you deserve – unlike expensive attorneys. One of the primary areas an Arizona divorce with no children focuses on is the division of all property, assets and debts of the couple. 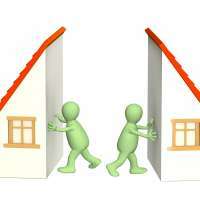 The most common items of property to be divided in an Arizona divorce are houses, vehicles, and home furnishings. Other items of property might include land, timeshares, jewelry and art collections. Typical assets are funds in checking and savings accounts, funds in 401(k) and retirement accounts, stocks, bond and investments. 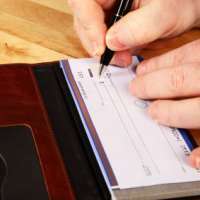 Frequently debts are tied to property, such as a home mortgage and auto loan, or assets, such as a 401(k) loan, and finally include credit cards, student loans and personal loans. Arizona is a community property state meaning that all property, assets and debts obtained during the marriage are subject to an equitable division. This is true even if property, say a vehicle, is purchased only in one spouse’s name and also holds true if a debt, say a credit card, is incurred under only one spouse’s name. Exceptions to community property are few, but typically include gifts and inheritances received by only one spouse during the marriage, which are considered sole & separate property. In an Arizona divorce, each item of community property, as well as each asset and debt must be listed, assigned a value and awarded to either spouse. The overall division is required to be equitable, unless the parties agree otherwise. For an Arizona divorce, all property, assets and debts acquired by each spouse prior to marriage, will be affirmed to them as their sole and separate property without any consideration of division. Certain items obtained during the marriage, such as gifts and inheritances are also considered sole and separate property and not subject to division in an Arizona divorce. Another major consideration of an Arizona divorce with no children is spousal maintenance (alimony/spousal support). Spousal maintenance is money that one spouse pays to the other for support either during or after a divorce, or both. When spouses separate, one may be unable to pay for regular living expenses, in which case the higher earning spouse—regardless of if that is the husband or the wife—assists the lower earning spouse financially for at least some period of time. contributed to the other spouse’s educational opportunities. 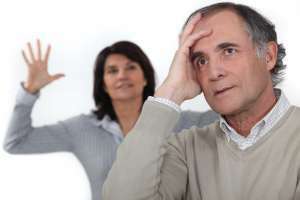 If it is determined that a spouse does in fact have a financial need, the amount and duration of the spousal maintenance is decided after considering all relevant factors, including, but not limited to, the length of the marriage, the age and earning ability of the spouse who is asking for maintenance, the standard of living the parties enjoyed during the marriage, the ability of the other spouse to pay, and what the person who is asking for the maintenance contributed to the marriage. As you can see, although a couple divorcing in Arizona with no children does not have to consider custody and other factors affecting children, they must still address the division of their joint property, assets and debts, the affirmation of sole property, assets and debts and a determination of spousal maintenance. If they can do so amicably there is no need to hire an attorney or appear before a Judge. 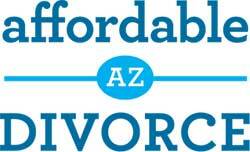 Contact us today to learn about our affordable Arizona divorce with no children legal document preparation services.